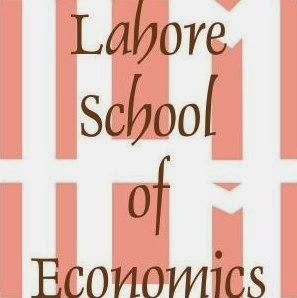 Lahore School of Economics: It’s Time to Take the Bus! 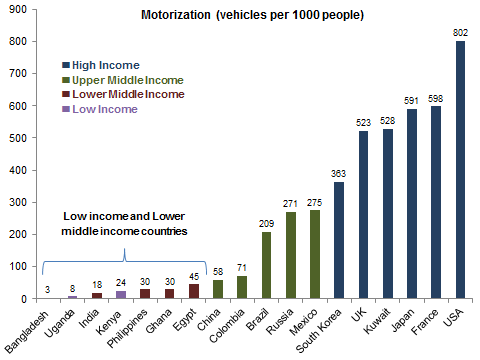 Rapid motorization and traffic congestion are becoming a major challenge for large cities in the developing world, and generating significant economic and social costs. In Cairo, for instance, the World Bank estimates that congestion costs are as high as US$8 billion or 4% of the city’s GDP. The breakneck pace of urbanization in developing countries will exacerbate this trend, with the total urban population of the developing world expected to double from 2 billion to 4 billion between 2000 and 2030. In this context, the role of public bus services is bound to evolve significantly. While bus systems were previously focused on providing affordable transport services to the urban poor, they must now become a mode of choice even for those who can afford a private vehicle, and need to be part of a more comprehensive urban mobility strategy to mitigate the effects of rapid motorization. This creates a challenge: how can bus services meet their social objectives and remain affordable but also provide better service in order to attract car owners and initiate that behavior change? Seoul is an example of a city that has undertaken a series of measures to modernize the public bus system and bring about this paradigm shift. Dr. Jin Young Park, Director at the Korea Transport Institute, spoke on July 17 at a webinar on Seoul’s Public Bus Service Modernization arranged jointly by the World Bank’s East Asia Infrastructure Unit (EASIN), Transport Anchor (TWITR), and the World Bank Institute (WBI). The public bus system in Seoul is considered a benchmark for cities in developing countries in terms of balancing the goals of affordability and quality of bus service. Dr. Park identified a number of key interventions that were undertaken as part of Seoul’s bus modernization efforts. In order to shift the focus towards better quality service, the first intervention was to change the revenue structure for bus operators from passenger-based revenue to distance-based revenue. The passenger-based revenue model can discourage operators from serving longer distances and operating during off-peak hours, and in the case of multiple operators, it can also result in reckless driving as a result of competition to catch passengers. By contrast, when operators are paid on the basis of distance traveled and their ability to meet pre-defined quality standards, it enhances the coverage of the bus system and incentivizes safe and predictable operation of public buses. Wide area lines to provide express connections between satellite cities and the downtown area to absorb passenger car commuters. The network redesign enabled a more efficient bus network and actually reduced the number of bus routes required to serve the Seoul metropolitan area. Another key intervention to promote bus usage was reforming the public transit fare system. Seoul implemented a mode-neutral fare system using smart cards to encourage transfers between different modes and routes. The new fare system charges on the basis of distance travelled irrespective of the mode and number of transfers (up to five free transfers). Dr. Park also listed use of technology as an important factor. The city established a Bus Management System to dispatch and track buses more efficiently and to allow dissemination of information (waiting times, traffic alerts, etc.) to transit users. Access to reliable information makes trip planning easy for users who have access to real-time transit information at bus shelters, and via internet, phone or smartphones. Deciding to invest in enhancing the travel experience and improving associated infrastructure (bus shelters, transit stations, and bus lanes) may seem obvious, but urban transport planners need to make the right choices in order to maximize return on these investments. Seoul optimized its bus fleet for different route functions, for example, by acquiring articulated buses for trunk lines and medium-sized buses for feeder lines and circular lines. The bus fleet was also shifted from diesel to cleaner and cheaper CNG fuel. By 2011, the city had developed over 157 km of exclusive bus lanes and 13 dedicated BRT-like bus corridors to complement the city’s extensive subway system. Public bus modernization in Seoul is a success story that can inspire cities in the developing world to respond to and anticipate the changing needs of urban transport. It also demonstrates that with smart and meticulous transit planning, congestion and motorization may not be an unavoidable side-effect of economic growth. Ahmad I. Chaudhary is Lahore School of Economics alumni.